Ukrainian language and Ukrainians with their neighbors in the early 20th century. Ukrainian i/juːˈkreɪniən/ (українська мова ukrayins'ka mova, pronounced [ukrɑˈjiɲsʲkɐ ˈmɔwɐ]) is an East Slavic language. It is the official state language of Ukraine and first of two principal languages of Ukrainians; it is one of the three official languages in the unrecognized state of Transnistria, the other two being Moldovan and Russian. Written Ukrainian uses a variant of the Cyrillic script (see Ukrainian alphabet). Until the 20th century it was known in Russia as Little-Russian language (Russian: малорусский язык, малороссийский язык), while in Poland as Rusyn language or Ruthenian language (Polish: język rusiński). Historical linguists trace the origin of the Ukrainian language to the Old East Slavic of the early medieval state of Kievan Rus'. After the fall of the Kievan Rus' as well as the Kingdom of Galicia–Volhynia, the language developed into a form called the Ruthenian language. The Modern Ukrainian language has been in common use since the late 17th century, associated with the establishment of the Cossack Hetmanate. From 1804 until the Russian Revolution, the Ukrainian language was banned from schools in the Russian Empire, of which the biggest part of Ukraine (Central, Eastern and Southern) was a part at the time. It has always maintained a sufficient base in Western Ukraine, where the language was never banned, in its folklore songs, itinerant musicians, and prominent authors. The standard Ukrainian language is regulated by the National Academy of Sciences of Ukraine (NANU), particularly by its Institute for the Ukrainian Language, Ukrainian language-information fund, and Potebnya Institute of Language Studies. Lexically, the closest language to Ukrainian is Belarusian (84% of common vocabulary), followed by Polish (70%), Serbo-Croatian (68%), Slovak (66%) and Russian (62%). The Ukrainian language retains a degree of mutual intelligibility with Belarusian and Russian. Another point of view developed during the 19th and 20th centuries by linguists of Imperial Russia and the Soviet Union. Like the notable Lomonosov, they assumed the existence of a common language spoken by East Slavs in the past. But unlike Lomonosov's hypothesis, this theory does not view "Polonization" or any other external influence as the main driving force that led to the formation of three different languages (Russian, Ukrainian and Belarusian) from the common Old East Slavic language. This general point of view is the most accepted amongst academics world-wide, particularly outside Ukraine. The supporters of this theory disagree, however, about the time when the different languages were formed. Some scholars[who?] see a divergence between the language of Galicia-Volhynia and the language of Novgorod-Suzdal by the 12th century, assuming that before the 12th century, the two languages were practically indistinguishable. This point of view is, however, at variance with some historical data. In fact, several East Slavic tribes, such as Polans, Drevlyans, Severians, Dulebes (that later likely became Volhynians and Buzhans), White Croats, Tiverians and Ulichs lived on the territory of today's Ukraine long before the 12th century. Notably, some Ukrainian features were recognizable in the southern dialects of Old East Slavic as far back as the language can be documented. Ukrainian linguist Stepan Smal-Stotsky went even further, denying the existence of a common Old East Slavic language at any time in the past. Similar points of view were shared by Yevhen Tymchenko, Vsevolod Hantsov, Olena Kurylo, Ivan Ohienko and others. According to this theory, the dialects of East Slavic tribes evolved gradually from the common Proto-Slavic language without any intermediate stages during the 6th through 9th centuries. The Ukrainian language was formed by convergence of tribal dialects, mostly due to an intensive migration of the population within the territory of today's Ukraine in later historical periods. This point of view was also confirmed by Yuri Shevelov's phonological studies. As the result of close Slavic contacts with the remnants of the Scythian and Sarmatian population north of the Black Sea, lasting into the early Middle Ages, the appearance of voiced fricative γ(h) in modern Ukrainian and some southern Russian dialects is explained, that initially emerged in Scythian and the related eastern Iranian dialects from earlier common Proto-Indo-European g* and gh*. During the 13th century, when German settlers were invited to Ukraine by the princes of Galicia-Vollhynia, German words began to appear in the language spoken in Ukraine. Their influence would continue under Poland not only through German colonists but also through the Yiddish-speaking Jews. Often such words involve trade or handicrafts. Examples of words of German or Yiddish origin spoken in Ukraine include dakh (roof), rura (pipe), rynok (market), kushnir (furrier), and majster (master or craftsman). In the 13th century, eastern parts of Rus' (including Moscow) came under Tatar yoke until their unification under the Tsardom of Muscovy, whereas the south-western areas (including Kiev) were incorporated into the Grand Duchy of Lithuania. For the following four centuries, the language of the two regions evolved in relative isolation from each other. Direct written evidence of the existence of the Ukrainian language dates to the late 16th century. By the 16th century, a peculiar official language was formed: a mixture of Old Church Slavonic, Ruthenian and Polish, with the influence of the last of these three gradually increasing. Documents soon took on many Polish characteristics superimposed on Ruthenian phonetics. Polish rule and education also involved significant exposure to the Latin language. Much of the influence of Poland on the development of the Ukrainian language has been attributed to this period and is reflected in multiple words and constructions used in everyday Ukrainian speech that were taken from Polish or Latin. Examples of Polish words adopted from this period include zavzhdy (always; taken from old Polish word zawżdy) and obitsiaty (to promise; taken from Polish obiecać) and from Latin raptom (suddenly) and meta (aim or goal). Significant contact with Tatars and Turks resulted in many Turkic words, particularly those involving military matters and steppe industry, being adopted into the Ukrainian language. Examples include torba (bag) and tyutyun (tobacco). Due to heavy borrowings from Polish, German, Czech and Latin, early modern Ukrainian (prosta mova) had more lexical similarity with West Slavic languages than with Russian or Church Slavonic. By the mid-17th century, the linguistic divergence between the Ukrainian and Russian languages was so acute that there was a need for translators during negotiations for the Treaty of Pereyaslav, between Bohdan Khmelnytsky, head of the Zaporozhian Host, and the Russian state. Percentage of people with Ukrainian as their native language according to 2001 census (by region). During the Khazar period, the territory of Ukraine, settled at that time by Iranian (post-Scythian), Turkic (post-Hunnic, proto-Bulgarian), and Uralic (proto-Hungarian) tribes, was progressively Slavicized by several waves of migration from the Slavic north. Finally, the Varangian ruler of Novgorod, called Oleg, seized Kiev (Kyiv) and established the political entity of Rus'. Some theorists see an early Ukrainian stage in language development here; others term this era Old East Slavic or Old Ruthenian/Rus'ian. Russian theorists tend to amalgamate Rus' to the modern nation of Russia, and call this linguistic era Old Russian. Some hold that linguistic unity over Rus' was not present, but tribal diversity in language was. The era of Rus' is the subject of some linguistic controversy, as the language of much of the literature was purely or heavily Old Slavonic. At the same time, most legal documents throughout Rus' were written in a purely Old East Slavic language (supposed to be based on the Kiev dialect of that epoch). Scholarly controversies over earlier development aside, literary records from Rus' testify to substantial divergence between Russian and Ruthenian/Rusyn forms of the Ukrainian language as early as the era of Rus'. One vehicle of this divergence (or widening divergence) was the large scale appropriation of the Old Slavonic language in the northern reaches of Rus' and of the Polish language at the territory of modern Ukraine. As evidenced by the contemporary chronicles, the ruling princes of Galich (modern Halych) and Kiev called themselves "People of Rus'" (with the exact Cyrillic spelling of the adjective from of Rus' varying among sources), which contrasts sharply with the lack of ethnic self-appellation for the area until the mid-19th century. Miniature of St Luke from the Peresopnytsia Gospels (1561). After the fall of Galicia–Volhynia, Ukrainians mainly fell under the rule of Lithuania and then Poland. Local autonomy of both rule and language was a marked feature of Lithuanian rule. In the Grand Duchy of Lithuania, Old Slavic became the language of the chancellery and gradually evolved into the Ruthenian language. Polish rule, which came later, was accompanied by a more assimilationist policy. By the 1569 Union of Lublin that formed the Polish–Lithuanian Commonwealth, a significant part of Ukrainian territory was moved from Lithuanian rule to Polish administration, resulting in cultural Polonization and visible attempts to colonize Ukraine by the Polish nobility. Many Ukrainian nobles learned the Polish language and adopted Catholicism during that period. Lower classes were less affected because literacy was common only in the upper class and clergy. The latter were also under significant Polish pressure after the Union with the Catholic Church. Most of the educational system was gradually Polonized. In Ruthenia, the language of administrative documents gradually shifted towards Polish. The Polish language has had heavy influences on Ukrainian (particularly in Western Ukraine). The southwestern Ukrainian dialects are transitional to Polish. As the Ukrainian language developed further, some borrowings from Tatar and Turkish occurred. Ukrainian culture and language flourished in the sixteenth and first half of the 17th century, when Ukraine was part of the Polish–Lithuanian Commonwealth. Among many schools established in that time, the Kiev-Mogila Collegium (the predecessor of modern Kyiv-Mohyla Academy), founded by the Orthodox Metropolitan Peter Mogila (Petro Mohyla), was the most important. At that time languages were associated more with religions: Catholics spoke Polish, and members of the Orthodox church spoke Rusyn. After the Treaty of Pereyaslav, Ukrainian high culture went into a long period of steady decline. In the aftermath, the Kyiv-Mohyla Academy was taken over by the Russian Empire and closed down later in the 19th century. Most of the remaining Ukrainian schools also switched to Polish or Russian in the territories controlled by these respective countries, which was followed by a new wave of Polonization and Russification of the native nobility. Gradually the official language of Ukrainian provinces under Poland was changed to Polish, while the upper classes in the Russian part of Ukraine used Russian. During the 19th century, a revival of Ukrainian self-identification manifested in the literary classes of both Russian-Empire Dnieper Ukraine and Austrian Galicia. The Brotherhood of Sts Cyril and Methodius in Kiev applied an old word for the Cossack motherland, Ukrajina, as a self-appellation for the nation of Ukrainians, and Ukrajins'ka mova for the language. Many writers published works in the Romantic tradition of Europe demonstrating that Ukrainian was not merely a language of the village but suitable for literary pursuits. However, in the Russian Empire expressions of Ukrainian culture and especially language were repeatedly persecuted for fear that a self-aware Ukrainian nation would threaten the unity of the empire. In 1804 Ukrainian as a subject and language of instruction was banned from schools. In 1811 by the Order of the Russian government, the Kyiv-Mohyla Academy was closed. The Academy had been open since 1632 and was the first university in Eastern Europe. In 1847 the Brotherhood of Sts Cyril and Methodius was terminated. The same year Taras Shevchenko was arrested, exiled for ten years, and banned for political reasons from writing and painting. In 1862 Pavlo Chubynsky was exiled for seven years to Arkhangelsk. The Ukrainian magazine Osnova was discontinued. In 1863, the tsarist interior minister Pyotr Valuyev proclaimed in his decree that "there never has been, is not, and never can be a separate Little Russian language". A following ban on Ukrainian books led to Alexander II's secret Ems Ukaz, which prohibited publication and importation of most Ukrainian-language books, public performances and lectures, and even banned the printing of Ukrainian texts accompanying musical scores. A period of leniency after 1905 was followed by another strict ban in 1914, which also affected Russian-occupied Galicia. For much of the 19th century the Austrian authorities demonstrated some preference for Polish culture, but the Ukrainians were relatively free to partake in their own cultural pursuits in Halychyna and Bukovyna, where Ukrainian was widely used in education and official documents. The suppression by Russia retarded the literary development of the Ukrainian language in Dnipro Ukraine, but there was a constant exchange with Halychyna, and many works were published under Austria and smuggled to the east. By the time of the Russian Revolution of 1917 and the collapse of Austro-Hungary in 1918, the former 'Ruthenians' or 'Little Russians' were ready to openly develop a body of national literature, institute a Ukrainian-language educational system, and form an independent state named Ukraine (the Ukrainian People's Republic, shortly joined by the West Ukrainian People's Republic). During this brief independent statehood the stature and use of Ukrainian greatly improved. In the Russian Empire Census of 1897 the following picture emerged, with Ukrainian being the second most spoken language of the Russian Empire. According to the Imperial census's terminology, the Russian language (Русскій) was subdivided into Ukrainian (Малорусскій, 'Little Russian'), what we know as Russian today (Великорусскій, 'Great Russian'), and Belarusian (Бѣлорусскій, 'White Russian'). The following table shows the distribution of settlement by native language ("по родному языку") in 1897 in Russian Empire governorates (guberniyas) that had more than 100,000 Ukrainian speakers. Although in the rural regions of the Ukraine provinces, 80% of the inhabitants said that Ukrainian was their native language in the Census of 1897 (for which the results are given above), in the urban regions only 32.5% of the population claimed Ukrainian as their native language. For example, in Odessa (then part of the Russian Empire), at the time the largest city in the territory of current Ukraine, only 5.6% of the population said Ukrainian was their native language. Until the 1920s the urban population in Ukraine grew faster than the number of Ukrainian speakers. This implies that there was a (relative) decline in the use of Ukrainian language. For example, in Kiev, the number of people stating that Ukrainian was their native language declined from 30.3% in 1874 to 16.6% in 1917. The Ukrainian text in this Soviet poster reads: "The Social base of the USSR is an unbreakable union of the workers, peasants and intelligentsia". During the seven-decade-long Soviet era, the Ukrainian language held the formal position of the principal local language in the Ukrainian SSR. However, practice was often a different story: Ukrainian always had to compete with Russian, and the attitudes of the Soviet leadership towards Ukrainian varied from encouragement and tolerance to discouragement. Officially, there was no state language in the Soviet Union until the very end when it was proclaimed in 1990 that Russian language was the all-Union state language and that the constituent republics had rights to declare additional state languages within their jurisdictions. Still it was implicitly understood in the hopes of minority nations that Ukrainian would be used in the Ukrainian SSR, Uzbek would be used in the Uzbek SSR, and so on. However, Russian was used in all parts of the Soviet Union and a special term, "a language of inter-ethnic communication" was coined to denote its status. In reality, Russian was in a privileged position in the USSR and was the state official language in everything but formal name—although formally all languages were held up as equal. Following the Russian Revolution, the Russian Empire was broken up. In different parts of the former empire, several nations, including Ukrainians, developed a renewed sense of national identity. In the chaotic post-revolutionary years the Ukrainian language gained some usage in government affairs. Initially, this trend continued under the Bolshevik government of the Soviet Union, which in a political struggle to retain its grip over the territory had to encourage the national movements of the former Russian Empire. While trying to ascertain and consolidate its power, the Bolshevik government was by far more concerned about many political oppositions connected to the pre-revolutionary order than about the national movements inside the former empire, where it could always find allies. The 1921 Soviet recruitment poster. It uses traditional Ukrainian imagery with Ukrainian-language text: "Son! Enroll in the school of Red commanders, and the defense of Soviet Ukraine will be ensured." The widening use of Ukrainian further developed in the first years of Bolshevik rule into a policy called korenizatsiya. The government pursued a policy of Ukrainianization by lifting a ban on the Ukrainian language. That led to the introduction of an impressive education program which allowed Ukrainian-taught classes and raised the literacy of the Ukrainophone population. This policy was led by Education Commissar Mykola Skrypnyk and was directed to approximate the language to Russian. Newly generated academic efforts from the period of independence were co-opted by the Bolshevik government. The party and government apparatus was mostly Russian-speaking but were encouraged to learn the Ukrainian language. Simultaneously, the newly literate ethnic Ukrainians migrated to the cities, which became rapidly largely Ukrainianized – in both population and in education. Anti-russification protest. The banner reads "For Ukrainian Children – a Ukrainian school!". Soviet policy towards the Ukrainian language changed abruptly in late 1932 and early 1933, with the termination of the policy of Ukrainianization. In December 1932, the regional party cells received a telegram signed by V. Molotov and Stalin with an order to immediately reverse the Ukrainianization policies. The telegram condemned Ukrainianization as ill-considered and harmful and demanded to "immediately halt Ukrainianization in raions (districts), switch all Ukrainianized newspapers, books and publications into Russian and prepare by autumn of 1933 for the switching of schools and instruction into Russian". Stalinist policies shifted to define Russian as the language of (inter-ethnic) communication. Although Ukrainian continued to be used (in print, education, radio and later television programs), it lost its primary place in advanced learning and republic-wide media. Ukrainian was demoted to a language of secondary importance, often associated with the rise in Ukrainian self-awareness and nationalism and often branded "politically incorrect". The new Soviet Constitution adopted in 1936, however, stipulated that teaching in schools should be conducted in native languages. While Russian was a de facto official language of the Soviet Union in all but formal name, all national languages were proclaimed equal. The name and denomination of Soviet banknotes were listed in the languages of all fifteen Soviet republics. On this 1961 one-ruble note, the Ukrainian for "one ruble", один карбованець (odyn karbovanets`), directly follows the Russian один рубль (odin rubl`). After the death of Stalin (1953), a general policy of relaxing the language policies of the past was implemented (1958 to 1963). The Nikita Khrushchev era which followed saw a policy of relatively lenient concessions to development of the languages at the local and republic level, though its results in Ukraine did not go nearly as far as those of the Soviet policy of Ukrainianization in the 1920s. Journals and encyclopedic publications advanced in the Ukrainian language during the Khrushchev era, as well as transfer of Crimea under Ukrainian SSR jurisdiction. Yet, the 1958 school reform that allowed parents to choose the language of primary instruction for their children, unpopular among the circles of the national intelligentsia in parts of the USSR, meant that non-Russian languages would slowly give way to Russian in light of the pressures of survival and advancement. The gains of the past, already largely reversed by the Stalin era, were offset by the liberal attitude towards the requirement to study the local languages (the requirement to study Russian remained). Parents were usually free to choose the language of study of their children (except in few areas where attending the Ukrainian school might have required a long daily commute) and they often chose Russian, which reinforced the resulting Russification. In this sense, some analysts argue that it was not the "oppression" or "persecution", but rather the lack of protection against the expansion of Russian language that contributed to the relative decline of Ukrainian in the 1970s and 1980s. According to this view, it was inevitable that successful careers required a good command of Russian, while knowledge of Ukrainian was not vital, so it was common for Ukrainian parents to send their children to Russian-language schools, even though Ukrainian-language schools were usually available. While in the Russian-language schools within the republic, Ukrainian was supposed to be learned as a second language at comparable level, the instruction of other subjects was in Russian and, as a result, students had a greater command of Russian than Ukrainian on graduation. Additionally, in some areas of the republic, the attitude towards teaching and learning of Ukrainian in schools was relaxed and it was, sometimes, considered a subject of secondary importance and even a waiver from studying it was sometimes given under various, ever expanding, circumstances. The Communist Party leader Petro Shelest pursued a policy of defending Ukraine's interests within the Soviet Union. He proudly promoted the beauty of the Ukrainian language and developed plans to expand the role of Ukrainian in higher education. He was removed, however, after only a brief tenure, for being too lenient on Ukrainian nationalism. The management of dissent by the local Ukrainian Communist Party was more fierce and thorough than in other parts of the Soviet Union. As a result, at the start of the Mikhail Gorbachev reforms perebudova and hlasnist’ (Ukrainian for perestroika and glasnost), Ukraine under Shcherbytsky was slower to liberalize than Russia itself. Although Ukrainian still remained the native language for the majority in the nation on the eve of Ukrainian independence, a significant share of ethnic Ukrainians were russified. In Donetsk there were no Ukrainian language schools and in Kiev only a quarter of children went to Ukrainian language schools. The Russian language was the dominant vehicle, not just of government function, but of the media, commerce, and modernity itself. This was substantially less the case for western Ukraine, which escaped the artificial famine, Great Purge, and most of Stalinism. And this region became the center of a hearty, if only partial, renaissance of the Ukrainian language during independence. Modern signs in the Kiev Metro are in Ukrainian. The evolution in their language followed the changes in the language policies in post-war Ukraine. Originally, all signs and voice announcements in the metro were in Ukrainian, but their language was changed to Russian in the early 1980s, at the height of Shcherbytsky's gradual Russification. In the perestroika liberalization of the late 1980s, the signs were changed to bilingual. This was accompanied by bilingual voice announcements in the trains. In the early 1990s, both signs and voice announcements were changed again from bilingual to Ukrainian-only during the de-russification campaign that followed Ukraine's independence. Since 2012 the signs have been in both Ukrainian and English. Since 1991, Ukrainian has been the official state language in Ukraine, and the state administration implemented government policies to broaden the use of Ukrainian. The educational system in Ukraine has been transformed over the first decade of independence from a system that is partly Ukrainian to one that is overwhelmingly so. The government has also mandated a progressively increased role for Ukrainian in the media and commerce. In some cases the abrupt changing of the language of instruction in institutions of secondary and higher education led to the charges of Ukrainianization, raised mostly by the Russian-speaking population. This transition, however, lacked most of the controversies that arose during the de-russification of the other former Soviet Republics. With time, most residents, including ethnic Russians, people of mixed origin, and Russian-speaking Ukrainians, started to self-identify as Ukrainian nationals, even those who remained Russophone. The Russian language, however, still dominates the print media in most of Ukraine and private radio and TV broadcasting in the eastern, southern, and, to a lesser degree, central regions. The state-controlled broadcast media have become exclusively Ukrainian. There are few obstacles to the usage of Russian in commerce and it is still occasionally used in government affairs. Late 20th century Russian politicians like Alexander Lebed and Mikhail Yur'ev still claimed that Ukrainian is a Russian dialect. In the 2001 census, 67.5% of the country population named Ukrainian as their native language (a 2.8% increase from 1989), while 29.6% named Russian (a 3.2% decrease). It should be noted, though, that for many Ukrainians (of various ethnic descent), the term native language may not necessarily associate with the language they use more frequently. The overwhelming majority of ethnic Ukrainians consider the Ukrainian language native, including those who often speak Russian. According to the official 2001 census data approximately 75% of Kiev's population responded "Ukrainian" to the native language (ridna mova) census question, and roughly 25% responded "Russian". On the other hand, when the question "What language do you use in everyday life?" was asked in the sociological survey, the Kievans' answers were distributed as follows: "mostly Russian": 52%, "both Russian and Ukrainian in equal measure": 32%, "mostly Ukrainian": 14%, "exclusively Ukrainian": 4.3%. Ethnic minorities, such as Romanians, Tatars and Jews usually use Russian as their lingua franca. But there are tendencies within these minority groups to use Ukrainian. The Jewish writer Olexander Beyderman from the mainly Russian-speaking city of Odessa is now writing most of his dramas in Ukrainian. The emotional relationship regarding Ukrainian is changing in southern and eastern areas. Opposition to expansion of Ukrainian-language teaching is a matter of contention in eastern regions closer to Russia – in May 2008, the Donetsk city council prohibited the creation of any new Ukrainian schools in the city in which 80% of them are Russian-language schools. The literary Ukrainian language, which was preceded by Old East Slavic literature, may be subdivided into three stages: old Ukrainian (12th to 14th centuries), middle Ukrainian (14th to 18th centuries), and modern Ukrainian (end of the 18th century to the present). Much literature was written in the periods of the old and middle Ukrainian language, including legal acts, polemical articles, science treatises and fiction of all sorts. Influential literary figures in the development of modern Ukrainian literature include the philosopher Hryhorii Skovoroda, Ivan Kotlyarevsky, Mykola Kostomarov, Mykhailo Kotsiubynsky, Taras Shevchenko, Ivan Franko, and Lesia Ukrainka. The earliest literary work in the modern Ukrainian language was recorded in 1798 when Ivan Kotlyarevsky, a playwright from Poltava in southeastern Ukraine, published his epic poem, Eneyida, a burlesque in Ukrainian, based on Virgil's Aeneid. His book was published in vernacular Ukrainian in a satirical way to avoid being censored, and is the earliest known Ukrainian published book to survive through Imperial and, later, Soviet policies on the Ukrainian language. Kotlyarevsky's work and that of another early writer using the Ukrainian vernacular language, Petro Artemovsky, used the southeastern dialect spoken in the Poltava, Kharkiv and southern Kieven regions of the Russian Empire. This dialect would serve as the basis of the Ukrainian literary language when it was developed by Taras Shevchenko and Panteleimon Kulish in the mid 19th century. In order to raise its status from that of a dialect to that of a language, various elements from folklore and traditional styles were added to it. The Ukrainian literary language developed further when the Russian state banned the use of the Ukrainian language, prompting many of its writers to move to the western Ukrainian region of Galicia which was under more liberal Austrian rule; after the 1860s the majority of Ukrainian literary works were published in Austrian Galicia. During this period Galician influences were adopted in the Ukrainian literary language, particularly with respect to vocabulary involving law, government, technology, science, and administration. Ukrainian language traffic sign for the Ivan Franko Museum in Krivorivnia. The use of the Ukrainian language is increasing after a long period of decline. Although there are almost fifty million ethnic Ukrainians worldwide, including 37.5 million in Ukraine (77.8% of the total population), the Ukrainian language is prevalent only in western and central Ukraine. In Kiev, both Ukrainian and Russian are spoken, a notable shift from the recent past when the city was primarily Russian-speaking. The shift is believed to be caused, largely, by an influx of the rural population and migrants from the western regions of Ukraine but also by some Kievans' turning to use the language they speak at home more widely in everyday matters. Public signs and announcements in Kiev are in Ukrainian. In southern and eastern Ukraine, Russian is the prevalent language of the urban population. According to the Ukrainian Census of 2001, 87.8% people living in Ukraine communicate in Ukrainian. Use of the Ukrainian language in Ukraine can be expected to increase, as the rural population migrates into the cities. In eastern and southern Ukraine, the rural Ukrainophones continue to prefer Russian. Interest in Ukrainian literature is growing rapidly, compensating for the periods when its development was hindered by either policies of direct suppression or lack of the state support. Ukrainian has become popular in other countries through movies and songs performed in the Ukrainian language. The most popular Ukrainian rock bands, such as Okean Elzy, Vopli Vidopliassova, BoomBox, and others perform regularly in tours across Europe, Israel, North America and especially Russia. In countries with significant Ukrainian populations, bands singing in the Ukrainian language sometimes reach top places in the charts, such as Enej from Poland. Other notable Ukrainian-language bands are The Ukrainians from the United Kingdom, Klooch from Canada, Ukrainian Village Band from the United States, and the Kuban Cossack Choir from the Kuban region in Russia. Map of Ukrainian dialects and subdialects (2005). (3) Eastern Polissian is spoken in Chernihiv (excluding the southeastern districts), in the northern part of Sumy, and in the southeastern portion of the Kiev Oblast as well as in the adjacent areas of Russia, which include the southwestern part of the Bryansk Oblast (the area around Starodub), as well as in some places in the Kursk, Voronezh and Belgorod Oblasts. No linguistic border can be defined. The vocabulary approaches Russian as the language approaches the Russian Federation. Both Ukrainian and Russian grammar sets can be applied to this dialect. (2) Central Polissian is spoken in the northwestern part of the Kiev Oblast, in the northern part of Zhytomyr and the northeastern part of the Rivne Oblast. (1) West Polissian is spoken in the northern part of the Volyn Oblast, the northwestern part of the Rivne Oblast, and in the adjacent districts of the Brest Voblast in Belarus. The dialect spoken in Belarus uses Belarusian grammar and thus is considered by some to be a dialect of Belarusian. (4) Middle Dnieprian is the basis of the Standard Literary Ukrainian. It is spoken in the central part of Ukraine, primarily in the southern and eastern part of the Kiev Oblast). In addition, the dialects spoken in Cherkasy, Poltava, and Kiev regions are considered to be close to "standard" Ukrainian. (5) Slobodan is spoken in Kharkiv, Sumy, Luhansk, and the northern part of Donetsk, as well as in the Voronezh and Belgorod regions of Russia. This dialect is formed from a gradual mixture of Russian and Ukrainian, with progressively more Russian in the northern and eastern parts of the region. Thus, there is no linguistic border between Russian and Ukrainian, and, thus, both grammar sets can be applied. A Kuban dialect related to or based on the Steppe dialect is often referred to as Balachka and is spoken by the Kuban Cossacks in the Kuban region in Russia by the descendants of the Zaporozhian Cossacks, who settled in that area in the late 18th century. It was formed from a gradual mixture of Russian into Ukrainian. This dialect features the use of some Russian vocabulary along with some Russian grammar. There are three main variants, which have been grouped together according to location. (13) Boyko is spoken by the Boyko people on the northern side of the Carpathian Mountains in the Lviv and Ivano-Frankivsk Oblasts. It can also be heard across the border in the Subcarpathian Voivodeship of Poland. (12) Hutsul is spoken by the Hutsul people on the northern slopes of the Carpathian Mountains, in the extreme southern parts of the Ivano-Frankivsk Oblast, and in parts of the Chernivtsi and Transcarpathian Oblasts. (8) Podillian is spoken in the southern parts of the Vinnytsia and Khmelnytskyi Oblasts, in the northern part of the Odessa Oblast, and in the adjacent districts of the Cherkasy Oblast, the Kirovohrad Oblast, and the Mykolaiv Oblast. (7) Volynian is spoken in Rivne and Volyn, as well as in parts of Zhytomyr and Ternopil. It is also used in Chełm in Poland. (11) Pokuttia (Bukovynian) is spoken in the Chernivtsi Oblast of Ukraine. This dialect has some distinct vocabulary borrowed from Romanian. (9) Upper Dniestrian (Kresy) is considered to be the main Galician dialect, spoken in the Lviv, Ternopil, and Ivano-Frankivsk Oblasts. Its distinguishing characteristics are the influence of Polish and the German vocabulary, which is reminiscent of the Austro-Hungarian rule. Some of the distinct words used in this dialect can be found here. Pannonian or Bačka Rusyn is spoken in northwestern Serbia and eastern Croatia. Rusin language of the Bačka dialect is one of the official languages of the Serbian Autonomous Province of Vojvodina. Pryashiv Rusyn is the Rusyn spoken in the Prešov (in Ukrainian: Pryashiv) region of Slovakia, as well as by some émigré communities, primarily in the United States of America. Ukrainian is also spoken by a large émigré population, particularly in Canada (see Canadian Ukrainian), United States, and several countries of South America like Brazil, Argentina, and Paraguay. The founders of this population primarily emigrated from Galicia, which used to be part of Austro-Hungary before World War I, and belonged to Poland between the World Wars. The language spoken by most of them is the Galician dialect of Ukrainian from the first half of the 20th century. Compared with modern Ukrainian, the vocabulary of Ukrainians outside Ukraine reflects less influence of Russian, but often contains many loanwords from the local language. Ukrainian is one of three official languages of the breakaway Moldovan republic of Transnistria. Ukrainian is widely spoken within the 400,000-strong (in 1994) Ukrainian community in Brazil. The canonical word order of Ukrainian is subject–verb–object (SVO). Old East Slavic (and Russian) o in closed syllables, that is, ending in a consonant, in many cases corresponds to a Ukrainian i, as in pod > pid (під, 'under'). Thus, in the declension of nouns, the o can re-appear as it is no longer located in a closed syllable, such as rik (рік, 'year') (nom): rotsi (loc) (році). Ukrainian case endings are somewhat different from Old East Slavic, and the vocabulary includes a large overlay of Polish terminology. Russian na pervom etaže 'on the first floor' is in the locative (prepositional) case. The Ukrainian corresponding expression is na peršomu poversi (на першому поверсі). -omu is the standard locative (prepositional) ending, but variants in -im are common in dialect and poetry, and allowed by the standards bodies. The kh of Ukrainian poverkh (поверх) has mutated into s under the influence of the soft vowel i (k is similarly mutable into c in final positions). Ukrainian is the only modern East Slavic language which preserves the vocative case. The Ukrainian language has six vowels, /a/, /ɛ/, /ɪ/, /i/, /ɔ/, /u/, and one approximant /j/. A number of the consonants come in three forms: hard, soft (palatalized) and long, for example, /l/, /lʲ/, and /lː/ or /n/, /nʲ/, and /nː/. The letter ⟨г⟩ represents voiced glottal fricative /ɦ/, often transliterated as Latin h. It is the voiced equivalent of English /h/. Russian speakers from Ukraine often use the soft Ukrainian /ɦ/ in place of Russian /ɡ/, which comes from northern dialects of Old East Slavic. The Ukrainian alphabet has the additional letter ⟨ґ⟩ for /ɡ/, which appears in a few native words such as ґринджоли gryndžoly 'sleigh' and ґудзик gudzyk 'button'. However, /ɡ/ appears almost exclusively in loan words, and is usually simply written ⟨г⟩. For example, loanwords from English on public signs usually use ⟨г⟩ for both English g and h.
Another phonetic divergence between the Ukrainian and Russian languages is the pronunciation of Cyrillic ⟨в⟩ v/w. While in standard Russian it represents /v/, in many Ukrainian dialects it denotes /w/ (following a vowel and preceding a consonant (cluster), either within a word or at a word boundary, it denotes the allophone [u̯], and like the off-glide in the English words "flow" and "cow", it forms a diphthong with the preceding vowel). Native Russian speakers will pronounce the Ukrainian ⟨в⟩ as [v], which is one way to tell the two groups apart. As with ⟨г⟩ above, Ukrainians use ⟨в⟩ to render both English v and w; Russians occasionally use ⟨у⟩ for w instead. Ukrainian is written in a version of Cyrillic, consisting of 33 letters, representing 38 phonemes; an apostrophe is also used. Ukrainian orthography is based on the phonemic principle, with one letter generally corresponding to one phoneme, although there are a number of exceptions. The orthography also has cases where the semantic, historical, and morphological principles are applied. The modern Ukrainian alphabet is the result of a number of proposed alphabetic reforms from the 19th and early 20th centuries, in Ukraine under the Russian Empire, in Austrian Galicia, and later in Soviet Ukraine. A unified Ukrainian alphabet (the Skrypnykivka, after Mykola Skrypnyk) was officially established at a 1927 international Orthographic Conference in Kharkiv, during the period of Ukrainization in Soviet Ukraine. But the policy was reversed in the 1930s, and the Soviet Ukrainian orthography diverged from that used by the diaspora. The Ukrainian letter ge ґ was banned in the Soviet Union from 1933 until the period of Glasnost in 1990. The letter щ represents two consonants [ʃt͡ʃ]. The combination of [j] with some of the vowels is also represented by a single letter ([ja] = я, [je] = є, [ji] or [jı̽] = ї, [ju] = ю), while [jɔ] = йо and the rare regional [jɨ] = йи are written using two letters. These iotated vowel letters and a special soft sign change a preceding consonant from hard to soft. An apostrophe is used to indicate the hardness of the sound in the cases when normally the vowel would change the consonant to soft; in other words, it functions like the yer in the Russian alphabet. The phonemes [d͡z] and [d͡ʒ] do not have dedicated letters in the alphabet and are rendered with the digraphs дз and дж, respectively. [d͡z] is pronounced close to English dz in adze, [d͡ʒ] is close to g in huge. The Dictionary of Ukrainian Language in 11 volumes contains 135,000 entries. Lexical card catalog of the Ukrainian Institute of Language Studies has 6 million cards. The same Institute is going to publish the new Dictionary of Ukrainian Language in 13 volumes. As mentioned at the top of the article, Ukrainian is most closely related lexically to Belarusian, and is also closer to Polish than to Russian (for example, можливість, mozhlyvist', "possibility", and Polish możliwość, but Russian возможность, vozmozhnost'). Ukrainian has varying degrees of mutual intelligibility with other Slavic languages and is considered to be most closely related to Belarusian. 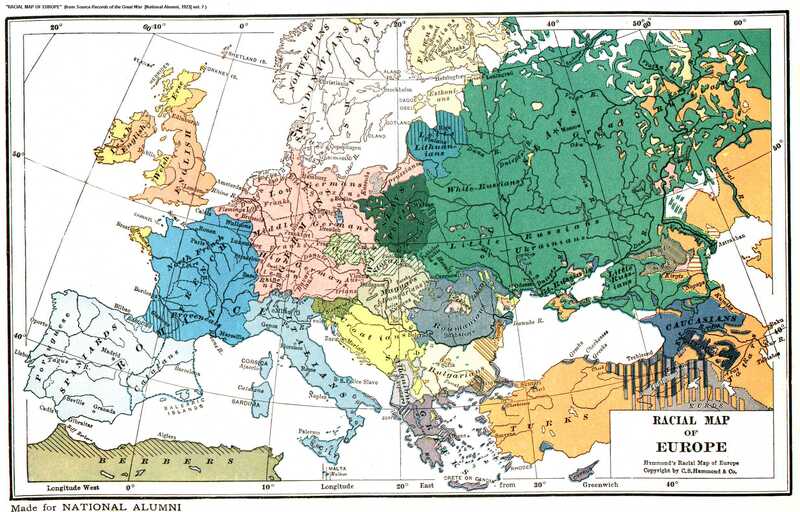 In the 19th century, the question of whether Ukrainian, Belarusian and Russian languages are dialects of a single language or three separate languages was actively discussed, with the debate affected by linguistic and political factors. The political situation (Ukraine and Belarus being mainly part of the Russian Empire at the time) and the historical existence of the medieval state of Kievan Rus', which occupied large parts of these three nations, led to the creation of the common classification known later as the East Slavic languages. The underlying theory of the grouping is their descent from a common ancestor. In modern times, Ukrainian, Russian, and Belarusian are usually listed by linguists as separate languages. Until the 17th and 18th centuries (the time of national and language revival of Ukraine) the Ukrainians were predominantly peasants and petits bourgeois; as a result, the Ukrainian language was mostly vernacular and few earlier literary works from the period can be found. In the cities, Ukrainian coexisted with Church Slavonic — a literary language of religion that evolved from the Old Slavonic — and later Polish and Russian, both languages which were more often used in formal writing and communication during that time. Like all Slavic languages with the exception of Russian, Belarusian, Slovak and Slovene, the Ukrainian language has preserved the Common Slavic vocative case. When addressing one's sister (sestra) she is referred to as sestro. In the Russian language the vocative case has been almost entirely replaced by the nominative (except for a handful of vestigial forms, e.g. Bozhe "God!" and Gospodi "Lord!"). The Ukrainian language, in common with all Slavic languages other than Russian, Slovak and Slovene, has retained the Common Slavic second palatalization of the velars *k, *g and *x in front of the secondary vowel *ě of the dative and locative ending in the female declension, resulting in the final sequences -cě, -zě, and -sě. For example, ruka (hand) becomes ruci in Ukrainian. In Russian, the dative and locative of ruka is ruke. The Ukrainian language, along with Russian and Belarusian, has changed the Common Slavic word-initial ye- into o, such as in the words ozero (lake) and odyn (one). The Ukrainian language, in common with Czech, Slovak, Upper Sorbian, Belarusian and southern Russian dialects, has changed the Common Slavic "g" into an "h" sound (for example, noha – leg). The Ukrainian language, in common with some northern Russian and Croatian dialects, has transformed the Common Slavic yě into i (for example, lis – forest). The Ukrainian language, in common with Russian, Belarusian, Bulgarian, Croatian, Macedonian, Slovene and Serbian, has simplified the Common Slavic tl and dl into l (for example, mela – she swept"). The three verbs became conflated in East Slavic due to morphological overlap, in particular of iměti ‘to have’ and jati ‘to take’ as exemplified in the Middle Ukrainian homonymic imut’ from both iměti (< *jĭměti) and jati (< *jęti). Analogous grammaticalization of the type take (‘to take,’ ‘to seize’) > future is found in Chinese and Hungarian. ↑ 9.0 9.1 Alexander M. Schenker. 1993. "Proto-Slavonic," The Slavonic Languages. (Routledge). Pp. 60–121. Pg. 60: "[The] distinction between dialect and language being blurred, there can be no unanimity on this issue in all instances..."
↑ Nimchuk, Vasyl'. Періодизація як напрямок дослідження генези та історії української мови. Мовознавство. 1997.- Ч.6.-С.3–14; 1998. ↑ Абаев В. И. О происхождении фонемы g (h) в славянском языке // Проблемы индоевропейского языкознания. М., 1964. С. 115—121. ↑ Майоров А.В. Великая Хорватия: Этногенез и ранняя история славян Прикарпатского региона. СПб. : Изд-во С.-Петерб. ун-та, 2006. ISBN 5-288-03948-8. С. 102. ↑ Эдельман Д. И. К происхождению ирано-славянских диахронических паралелей // Славянская языковая и этноязыковая системы в контакте с неславянским окружением. М., 2002. С. 76—77. ↑ Yaroslav Hrytsak. "On Sails and Gales, and Ships Driving in Various Directions: Post-Soviet Ukraine as a Test Case for the Meso-Area Concept". In: Kimitaka Matsuzato ed. Emerging meso-areas in the former socialist countries: histories revived or improvised?. Slavic Research Center, Hokkaido University. 2005. p. 57. ↑ Geoffrey Hull, Halyna Koscharsky. "Contours and Consequences of the Lexical Divide in Ukrainian". Australian Slavonic and East European Studies. Vol. 20, no. 1-2. 2006. pp. 140–147. ↑ Luckyj 1990, pp. 24–25. ↑ 38.0 38.1 George Shevelov. (1981). Evolution of the Ukrainian Literary Language. From Rethinking Ukrainian History. (Ivan Lysiak Rudnytsky, John-Paul Himka, editors). Edmonton, Alberta: University of Alberta, Canadian Institute of Ukrainian Studies, pp. 221–225. ↑ Mother tongue "refers to the first language learned at home in childhood and still understood by the individual at the time of the census." More detailed language figures are to be reported in December 2007. Statistics Canada (2007). Canada at a Glance 2007, p. 4. ↑ Magocsi 1996, pp 567, 570–71. ↑ Bernard Comrie and Greville G. Corbett, ed. 1993. The Slavonic Languages (Routledge). Bernard Comrie. 1992. "Slavic Languages," International Encyclopedia of Linguistics (Oxford). Vol. 3, pp. 452–456. ↑ David Dalby. 1999/2000. The Linguasphere Register of the World's Languages and Speech Communities (The Linguasphere Observatory), Volume Two, pg. 442: "53-AAA-e, Russkiy+Ukrainska"
↑ 71.0 71.1 71.2 71.3 71.4 71.5 J. B. Rudnyckyj. (1963) . The Position of the Ukrainian Language among the Slavic languages. In Ukraine: A concise Encyclopedia. Toronto: University of Toronto Press. pp. 445–448. ↑ Andrii Danylenko. Is There Any Inflectional Future in East Slavic? A Case of Ukrainian against Romance Reopened. Journal of the Slavic Research Center at Hokkaido University, 2007. PP. 147 - 177. Shevelov, George Y. (1979). A Historical Phonology of the Ukrainian Language. Heidelberg: Carl Winter Verlag. ISBN 3-533-02787-2. <templatestyles src="Module:Citation/CS1/styles.css"></templatestyles>. Ukrainian translation is partially available online. Конституція України (Constitution of Ukraine), 1996, rada.kiev.ua (Ukrainian) English translation (excerpts), rada.kiev.ua. For a list of words relating to Ukrainian language, see the Ukrainian language category of words in Wiktionary, the free dictionary. Wikivoyage has a phrasebook for Ukrainian. This page was last modified on 29 December 2015, at 17:20.